Holidays are the most magical and also the busiest times of the year. There are presents to shop and wrap, foods to prepare, tree to decorate, and Christmas lights to hang! You’ve enough things to worry about, so why not let us take care of your holiday lighting installation needs. We can do all of the Tulsa Holiday Lighting Installation needs that your family may have. 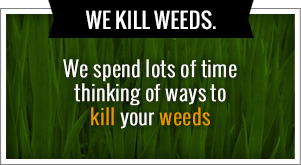 Give us a call today at 918-640-6405 or visit us online at www.greenleafweedcontrol.com. Installing holiday lighting is a risky task. You have to do a balancing act on ladders, climb roofs and trees, and deal with dangerous wiring. Stay safe this holiday season. Our Christmas lighting experts will take the risk so you don’t have to. Stay safe and stay warm inside the comfort of your own home. It’s more affordable than you probably thought possible to get the very best when it comes to Tulsa Holiday Lighting Installation. Green Leaf Lawn has many years of experience designing and installing holiday lighting displays. As Oklahoma’s premier holiday light service, we are known for combining creativity and craftsmanship as we turn your home into a safe winter wonderland! Our holiday lighting services include lighting installation, lighting maintenance and repair, free Christmas lighting removal, and free design consultation. We are not simply limited to Tulsa Holiday Lighting Installation. We can do the landscaping installation jobs that you need done in your life. We can do turf installation, installing of plants, shrubs, and trees. Before we install these, we carefully study the entire area to make sure that you get the exact thing you’re looking for to your specifications. We always try and exceed the expectations of our customers and provide them expert care and a variety of different ways. From small to large, we can make any property look fantastic. From roof lines, landscaped a tree lighting, we can make your property a winter wonderland. Simply call the experts at Green Leaf today and let us brighten your home this holiday season with a full-service like hanging experience. We provide custom quotes tailored to your budget and holiday lights needs. Call today for your free quote from the expert Tulsa Holiday Lighting Installation people at Green Leaf. Our company is devoted to providing high quality to the people of Tulsa, Oklahoma. We would love to hear from you at 918-640-6405. Green Leaf Lawn Service has much more than Tulsa Holiday Lighting Installation. We can maintain your lawn with efforts that will encourage deep root growth. We may no more or less depending on what the weather is currently doing in your area. With every Mel we will be sure to trim around all the buildings and obstacles within the lawn area. Mulch, shrub, and flowerbeds as well as tree rings and walkways will receive a sharp, well-defined edge. We also clean up after ourselves and guarantee a clean finish that will leave your lawn looking incredible. The fertilizer we use is natural and safe for your family and pets. You’ll receive separate applications depending on your lawn’s current condition. Additionally, you will receive spot weed control applications just to wrangle in those pesky weeds that don’t want to go anywhere. It’s never been a better time to pick up the phone and get all of your seasonal services from the lawn care experts at Green Leaf. We maintain all flour and mulch beds using hand techniques or natural weed control spray. Anything we use is safer and children and pets in our methods are guaranteed to work wonders. We provide professionally maintained appearance of all your ornamental shrubs and bushes as well as trees no more than 12 feet in height. All we use will be removed from the entire property as the season permits, primarily phone screen. All irrigation systems will be set up in spring, monitored throughout the year and blown out before winter. We can also area your lawn to make sure that has plenty of oxygen and water reaching the important parts of the soil. Adoration removes 224 inch plugs of soil out of your lawn to allow carry nutrients to penetrate. Green Leaf Lawn was founded by Jamie Nix and Josh Mathias. As friends they teamed up to change the way people address the issues on their lawn that can be serviced. They have both been working in the industry since 1998 and are native to Tulsa, Oklahoma. Since that time, Green Leaf has become the number one service of choice for Mathis brothers, outback steakhouse, and other companies in the Tulsa, Oklahoma area. 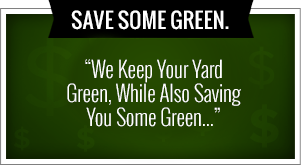 Our goal is to bring the best quality service to every home and lawn in Tulsa.